What is Your Garage to You? Welcome back to the Advanced Garage blog! Lately on our blog, we gave you 4 Tips for Organizing Your Garage and then discussed 5 Garage Storage System Items You Need. As we have mentioned many times, garages in Sacramento and beyond are often our junk drawers of our homes. They are the places where we put those utility items that we don’t know where else to store, or those old cat-themed, Christmas decorations that we inherited from our aunt. However, your garage doesn’t have to be a dusty, cobweb mess of random boxes that have no organizational rhyme or reason to their placement. Your garage doesn’t even have to be solely for storage either. It can be a room that works for your needs and hobbies. So, what do you want your garage to be for you? Before You Decide . . .
Before you start dreaming about your future, organized garage, let us review what shouldn’t be in your garage. Your garage shouldn’t ever feel like a spider metropolis or a mouse hotel. It also doesn’t have to be dirty or dusty either. Eliminating those things that attract pests and sealing your garage well, and even installing a custom garage floor can keep those creatures at bay; they don’t belong in your garage and can negatively affect your health. Unless you have a means for climate control in your garage, this space isn’t the best place for your drinks or extra food fridge. Because of the extreme temperatures in Sacramento, a fridge will have to run longer and harder to stay cold. Because of this, your fridge will not only use more energy, perhaps causing your energy bill to skyrocket, but also it will put wear and tear on your appliance that will shorten its life. Pet food may be stored in your garage if it is in an airtight hard, plastic or metal container. However, if it isn’t, it will most likely attract furry pests like mice and maybe even a possum or raccoon. The best practice is to keep your pet food sealed inside your home. Paper goods can be stored in your garage if you keep them in one of those clear plastic bins we talked about in 5 Garage Storage System Items You Need. If you plan to store them as is, sitting out, you can plan on critters using these paper items for their nests and moving into your garage. You should never store propane or other flammable items in your garage. These pose a safety and fire hazard. Always find the proper place to store these items outside your home away from sparks and other fire starters. Extreme temperatures, and especially heat, can ruin your paint. If your garage is climate-controlled then you can consider storing it in your garage, otherwise find a place in your home. Now that you know what kinds of things shouldn’t be stored in your garage, we can start to dream about what your garage could be for you. 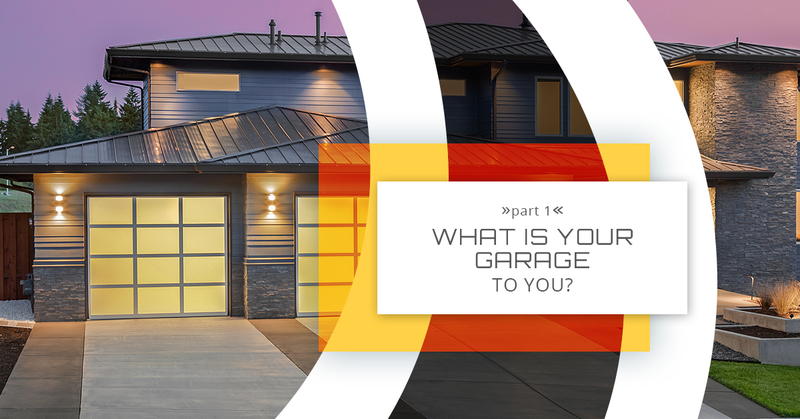 To learn more about the possibilities for your garage, read What is Your Garage to You? – Part 2 or talk to an Advanced Garage garage cabinet and storage system expert. We have been serving the Sacramento area for over 15 years. We have the custom garage cabinets and other services that can allow us to fully customize your garage. Visit our website or one of our showrooms to learn more about the services we provide and how we transform garages! Want to an estimate? We can do that, too!